With such a specialized set of needs, many of the best monitors on the market for graphic designers are not available at your local electronics store sitting on a shelf. Products such as these are typically referred to as professional quality and the combination of features and price point sets them apart from standard monitors you can buy anywhere else. While improvements in technology have made monitors better than ever, the change in resolution to 4k has risen to the forefront, making them the most often choice of monitors for creative use. The improved resolution helps provide graphic designers wirh a better idea of the work process, while larger screens are much easier to use. While there may be a litany of choices out there, today we’re going to look at the top monitors for graphic design. If you’re ready, let’s get started with what you should be on the lookout for so you can make sure you choose the monitor that’s best for you. Before purchasing a monitor for your graphic design needs, you must consider resolution, screen size, color accuracy, connections, ergonomics and price. It seems as though every few years, a new resolution for computer monitors comes onto the market, further blurring the line between what’s on your screen and reality. With pixel resolution, more is obviously better. This is especially true if the kind of work you are doing has a lot of high details you need to pay attention to. The best resolution available at the moment is Ultra-High-Definition (UHD), also known as 4K. These monitors offer the highest available resolution at 3,840 by 2,160 pixels which is twice the pixels found in a 1080P monitor. From there, the highest resolution available is Wide-Quad HD (WQHD) which has a pixel ratio of 2,560 by 1,440 pixels, otherwise known as 1440p. A point to keep in mind is that as the resolution of the monitor gets better, the cost of the monitor will relatively increase as well. A 4K monitor will cost a significant amount more than a typical Full HD (1,920 by 1,080 pixels), 1080p monitor. Yes, size matters. Especially when you are working with images that are highly detailed and have an ultra-high resolution. Unfortunately, we’re all limited by the size of our workspace when it comes to the size of the monitor that we ultimately buy. The goal is to maximize the real estate that you have for your monitor as much as possible so you can view multiple projects on a single screen. If you choose to go with a monitor that is either UHD or WQHD, you will want to try and find a monitor in the 27 to 32 inches range but if you work in an office where you may use two or more monitors, you may want to consider buying a 29-inch, ultra-wide WQHD monitor that can provide you with a screen with an aspect ratio of 21:9. Before a graphic designer sends their project to the printer, they want to be sure that what comes out will look the same on the screen first. This means that they need the colors to be displayed extremely accurate on the monitor they’re using. Monitors with high-end technology including an Advanced High-Performance In-Plane Switching (AH-IPS) panel. The monitor that you choose should have a look-up table (LUT) of either 10-, 13-, or 14-bit which will allow you to make frequent calibrations and should also cover at least 99 percent of the Adobe RGB color space. On the market today, there are many professional-grade monitors allow you to maintain the color consistency by using the monitor’s hardware and software tools or through the use of a third-party calibration which you can buy separately. Any PS panel that is worth the money shouldn’t have any trouble displaying shades of dark gray and light, which help to determine the level of shadow and highlight detail that you’ll be able to see on the screen. PS technology also helps to provide you with wide viewing angles on your monitor. PS panels can deliver solid color fidelity as well as luminosity when you are viewing them from the top, bottom, or sides unlike twisted nematic or vertical alignment panels. For those who may not know, I/O connections are the ports on the monitor that allow you to hook it up to your computer tower. To give yourself the best options for connectivity, the monitor you choose should come with HDMI, dual-link DVI ports, and DisplayPort 1.2. However, if the work you do will benefit from having multiple monitors and linking them together to give yourself one continuous display, you’ll want to consider a model that comes with either Thunderbolt-in and -out ports or a DisplayPort 1.2 in order to make it much easier. If you have to have the very best monitor out there, which would come with UHD (4K) resolution, in order to achieve the best resolution that the monitor can display, be sure that the graphics card supports Multi-Stream Transfer along with a DisplayPort 1.2 input and/or two HDMI ports. This way you will give your shiny brand new monitor the best chance to achieve the maximum resolution and 60Hz refresh rate you are looking for. People come in all different shapes and sizes and having a monitor on a stand that doesn’t give you the option of adjusting either the height of the monitor or being able to swivel the monitor to move it into the most comfortable viewing position can become a major problem, especially if you’re spending hours and hours in front of it daily. For some designers, the mobility of a monitor that allows you to pivot the screen 90 degrees into a portrait mode can be very handy and can make working on long documents or even websites much easier. A monitor with multiple USB ports can be great for plugging in your phone or inserting thumb drives. These are typically located on the side of the monitor to keep them out of the way and easy to reach. For graphic designers who may use photos they’ve taken, a card reader slot may be a good option to look for. It’s not a necessity by any means, but it can make it much easier to upload and download pictures, especially if the computer tower is under your desk. The part that everyone waits for and at the same time dreads. While the cost of whatever monitor you choose has to be a consideration, the truth is those high-end monitors aren’t the cheapest option out there for a reason. For a UHD (4k) monitor around 32 inches, you can end up spending around $3,000. A 27-inch WQHD monitor may hot your wallet for anywhere between $800 and $1,200 while a 24-inch monitor may cost you $500 or more. Obviously, if you do some research and shopping around, you may be able to find some good deals so that these figures don’t give you sticker shock. There is an old saying that the quality of the work is based on the tools of the craftsman. If your graphic design projects require you to use accurate color and gray-scale performance, settling for a monitor just to save some money won’t help you further your career. Although everyone will have different requirements, these are the top monitors for designers in 2018 and most likely, 2019. 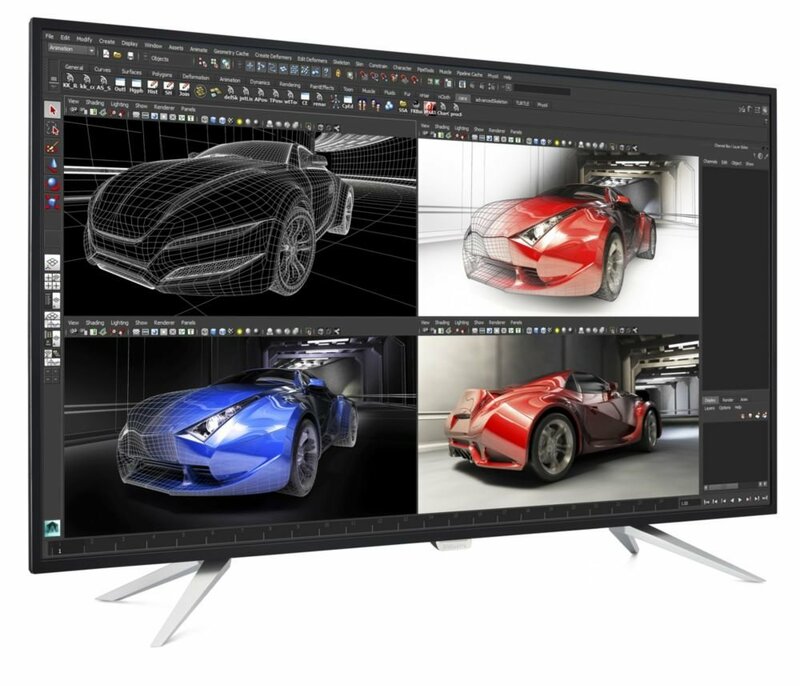 As one of the most preferred monitors by graphic designers, the Eizo ColorEdge CG318-4K, the recently released, monitor projects your work using a resolution of 4096 x 2160, more than four times the resolution of a monitor with a Full HD display while its enhanced pixel density improves clarity with 149 PPI. A self-calibration sensor lets you automate the calibration of the colors displayed by the monitor and also works well the ColorNavigator 5 and ColorNavigator software within the monitor. With a contrast ratio of 1,500:1, nine millisecond response time and a brightness rating of 350 cd/m2, it’s easy to see why it’s a favorite of professionals. 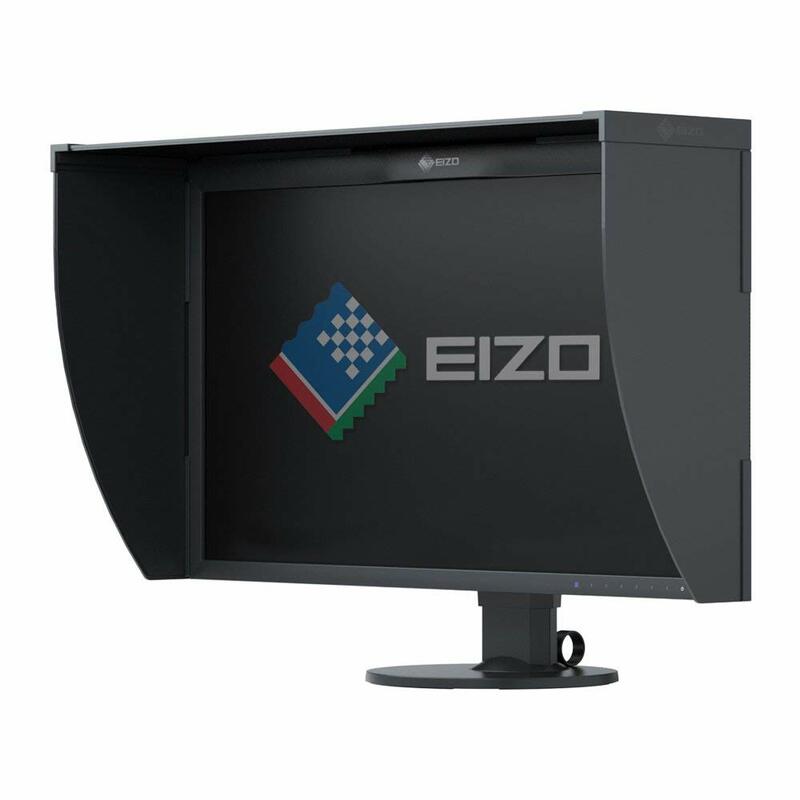 The monitor from Eizo is equipped with HDMI and DisplayPort inputs allowing you to easily plug into different computer configurations while the Rec. 709, EBU, and SMPTE-C standards are met 100% and covers 99% of Adobe RGB color space. Being at such a high price point, the Eizo ColorEdge CG318–4K monitor is an excellent machine for those professionals whose work requires the very best technology. While many people may remember the Dell commercials from the 90s, the company has continued to put out high-quality products for consumers and professionals alike. For the latter, the Dell Ultrasharp UP3216Q is one of the best 4k display monitors on the market. With one HDMI, one DisplayPort, and one Mini DisplayPort offers you a monitor with 31.5 inches of In-Plane Switching that can provide you with comfortable viewing no matter where you decide to put it. When you do, Dell ensures a quality display image with 99% Adobe RGB coverage plus 100% RGB, REC, and 87% of the DCI-PS color spaces will make any image stand out. The monitor comes with the standard inputs on its back including HDMI, DisplayPort, mini DisplayPort, audio jack, and USB 3.0 ports. A hidden treasure is the 6-in- card reader positioned on the left side of the monitor. On the right side, another USB port is located for charging your phone or other use you may have for it. With prices starting around $850, the Dell UltraSharp UP3216Q is more affordably priced than a lot of other options out there. If you’re looking for a powerful monitor but you’re on a budget, this may be right for you. 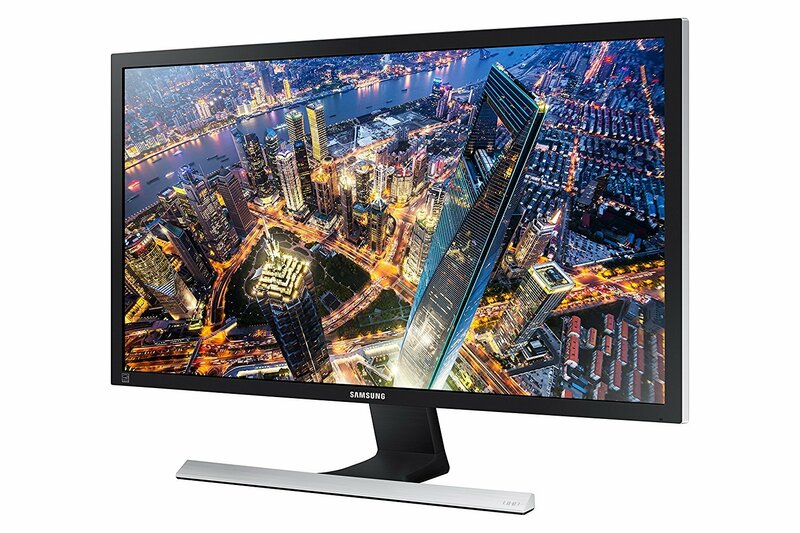 A close rival of the monitor from Dell, the Philips Brilliance BDM4065UC has sRGB color coverage up to 99% and comes with a 40 inch LED panel displaying 4K UHD (3840×2160) resolution which will make every pixel of your project stand out. Phillips’ own VA LED screen technology makes for more vibrant images by using advanced vertical alignment technology to not only improve the contrast quality of your images but also the richness and can improve the viewing angle, making it visible from wider angles. All of the usual suspects are there in regards to the types of connections you’ll find on the monitor. From HDMI, DisplayPort, and D-Sub are the ones most will find on a high-end monitor. Philips gives its customer a bonus with the addition of a mini DisplayPort input and an MHL HDMI port, which allows you to connect a tablet or smartphone and mirror the screen without lag. The only downside is that with MHL active, the monitor only supports a 1080 resolution and 60Hz refresh rate. A rival, not only in performance but in price to the monitor from Dell, the Philips Brilliance BDM4065UC is an affordable monitor that performs like one that costs three times as much. 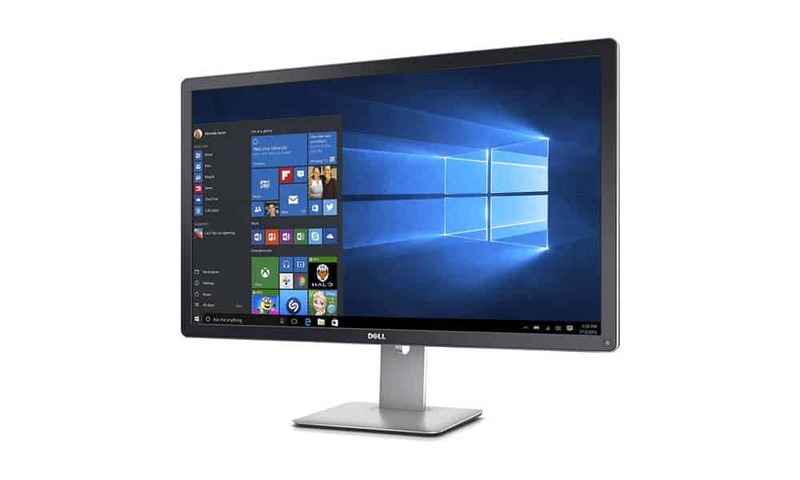 The 27-inch monitor uses IPS panel technology to deliver excellent gray-scale and accurate color performance as well as providing you with a sharp, highly detailed image. Positioning is an issue as you can tilt the monitor forward and backward, but you can’t adjust the height of the monitor or pivot or swivel the monitor either, which could be a turn off for some. Like many monitors, the I/o ports appear on the back of the monitor with the usual suspects all being here. 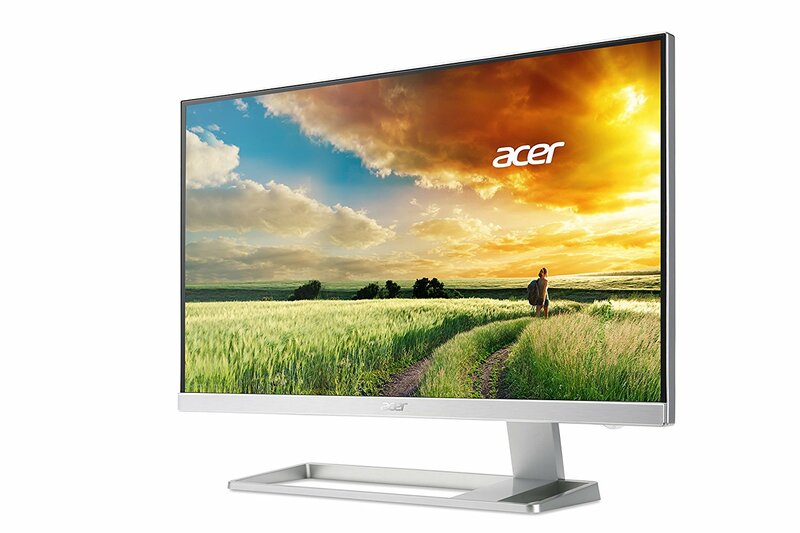 The Acer S277HK is built with conservative energy consumption in mind, the monitor uses only 49.87W while in use, and 470W while in standby mode. Not everyone has a lot of space for a big monitor, with the 27-inch Acer S277HK, you can get the performance and the aesthetic appeal that you may be looking for. Putting their hat into the 4K ring, the Asus ProArt PA329Q is a quality 32-inch monitor that features coverage up to 95% of the color space for Adobe RGB as well as 100% Rec.709 color space coverage providing you with more vibrant colors on the monitor. Designed to meet the specific needs of photographers, designers, and especially graphic designers, the Asus ProArt is equipped with a 10-bit IPS panel, which also supports 16-bit color look-up table. Putting the monitor into a position for optimal viewing is easy with the available tilt, swivel, and pivot that you can do to the monitor to get it just right. Once you do, four HDMI, a DisplayPort, Mini DisplayPort, five USB slots, as well as a USB upstream port and Memory Card reader gives you just about all of the I/O connections that you could need at work. While the price can be viewed as a bit steep depending on your needs, Asus does market the ProArt as their top of the line monitor. If you do a lot of photography along with your graphic design work, this could be the monitor you’re looking for. Featuring a widescreen display, the PD3200U from BenQ makes working with images in 4K and in 3D much easier than it would be on other monitors. The 32-inch display has a PS screen equipped with a contrast ratio of 1,000:1 and has full, 100% support for sRGB color space. See Jacob’s review of the PD3200U here. With a resolution of 3840×2160, the PD3200U is a 4K monitor which features 100% support for Rec 709, which also includes a darkroom, dedicated animation, and CAD/CAM modes. Sporting a KVM (Keyboard Video Mouse( switch, the PD3200U allows you to plug in a second PC to the monitor and switch between the two while using one screen, keyboard, and mouse. This can be a great option and space saver, especially if you use separate computers and have a smaller workspace. Fully adjustable, giving you the option to tilt and swivel the monitor into your preferred position, the monitor also rotates 90 degrees into portrait mode, giving you more flexibility for your projects. On the right-hand side, BenQ provides you with two HDMI ports, a DisplayPort 1.2, as well as a mini DisplayPort, SD card slot, and two USB 3.0 ports so you can connect any peripheral to the monitor that you need to. 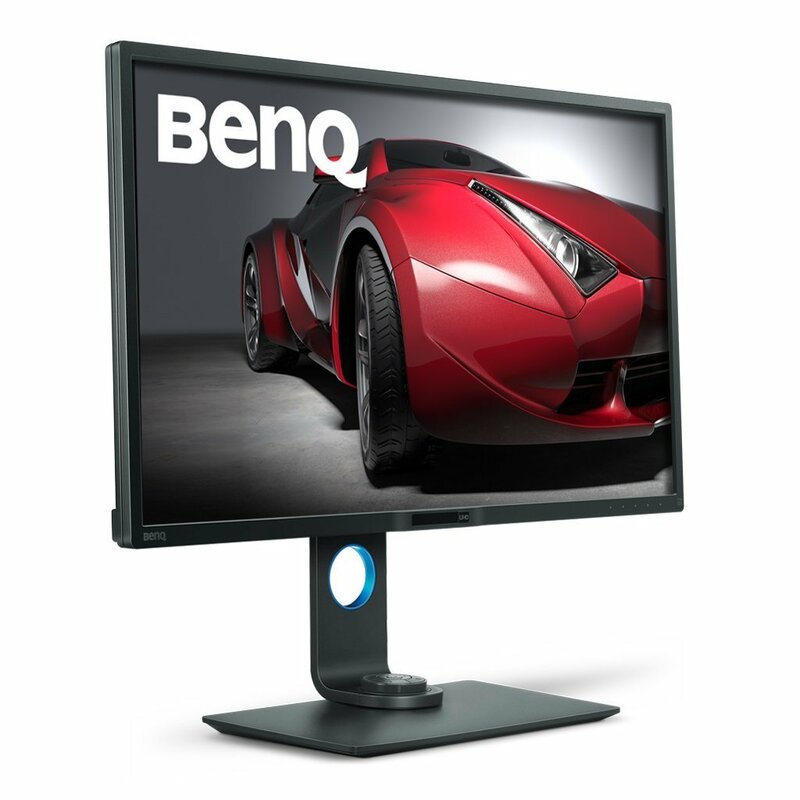 With features that can make it a perfect option to be the only monitor you need, the cost of the PD3200U from BenQ is modestly priced when compared to other monitors on the market today. As one of the biggest electronics manufacturers in the world, products from Samsung, including their U28E590D monitor provides you with a high-quality product that with its sleek design, cannot only appeal to graphic designers but photographers as well. While tilting the panel should be done with two hands to keep the monitor from tipping, changing the height, swivel or pivot are not available with Samsung monitor. While it does house two HDMI ports, and a DisplayPort 1.2, there are no USB 3.0 or DVI ports on the monitor. While for some, this may not be a deal breaker, for others, it could be a deciding factor. For a reasonable price, the Samsung U28E590D 28-inch monitor can provide you with an impressive Ultra High-Definition (UHD) picture and good performance overall. The lack of inputs and position adjustment are the only things keeping this from being one of the best ones on our list. Profession color support, the Acer B276HK is a great example of how 4K monitors can be beneficial to anyone who works in graphic design, video or photo editing. The 27-inch monitor displays your work in Ultra HD with a resolution of 3840×2160. The IPS display can provide you with vibrant colors while still providing you with a good range if a viewing angle which retains both its contrast and clarity when viewing the screen a bit off center. This can help the 1.07 billion colors 10-bit display, which for the price of this monitor is better than average compared to what you would normally get. While the connectivity options are pretty standard, a four-port USB hub stands out because this feature isn’t very common in many 4K displays as well as an MHL port. MHL stands for Mobile High-definition Link and can offer support for a single cable and allows you to connect your smartphone or tablet to the monitor. 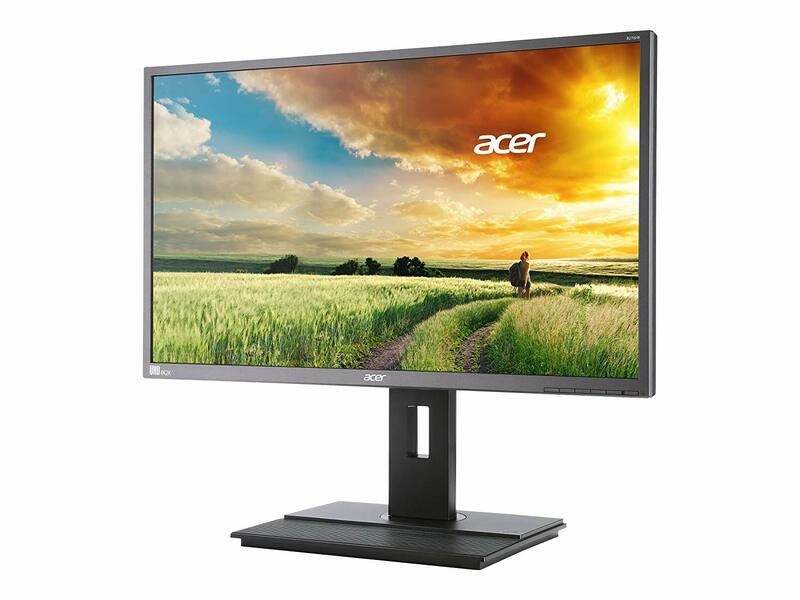 While the Acer B276HK has its limitations, the combination of the price and the features it does have make this a monitor worth considering for your business. 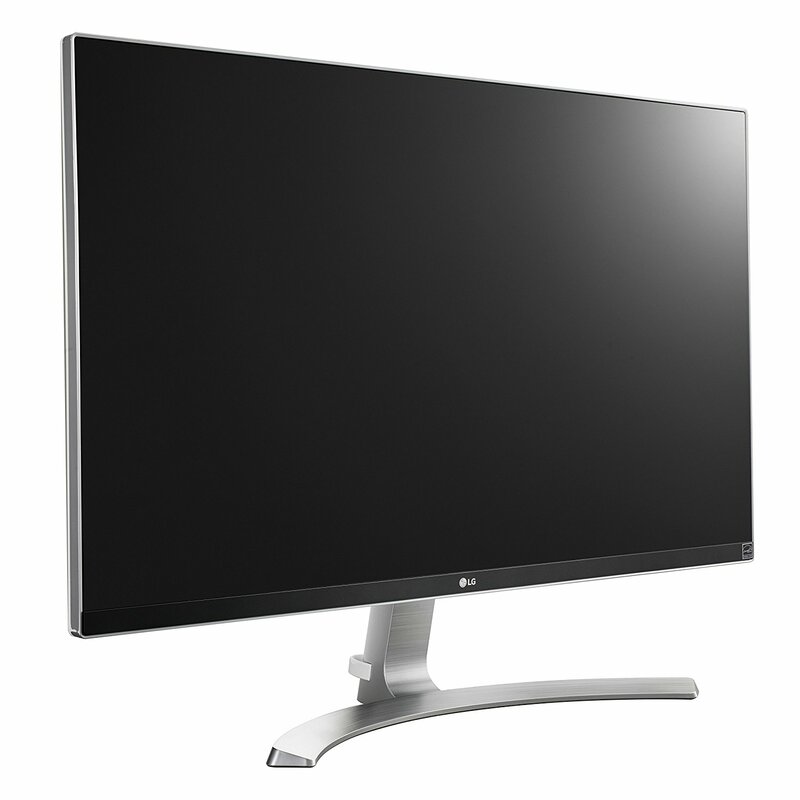 The competition for the best monitor for graphic designers can get pretty crowded, but we would be remiss if we didn’t mention the LG 27UD68-W, a 4K monitor can deliver a highly detailed picture for whatever work you’re doing. 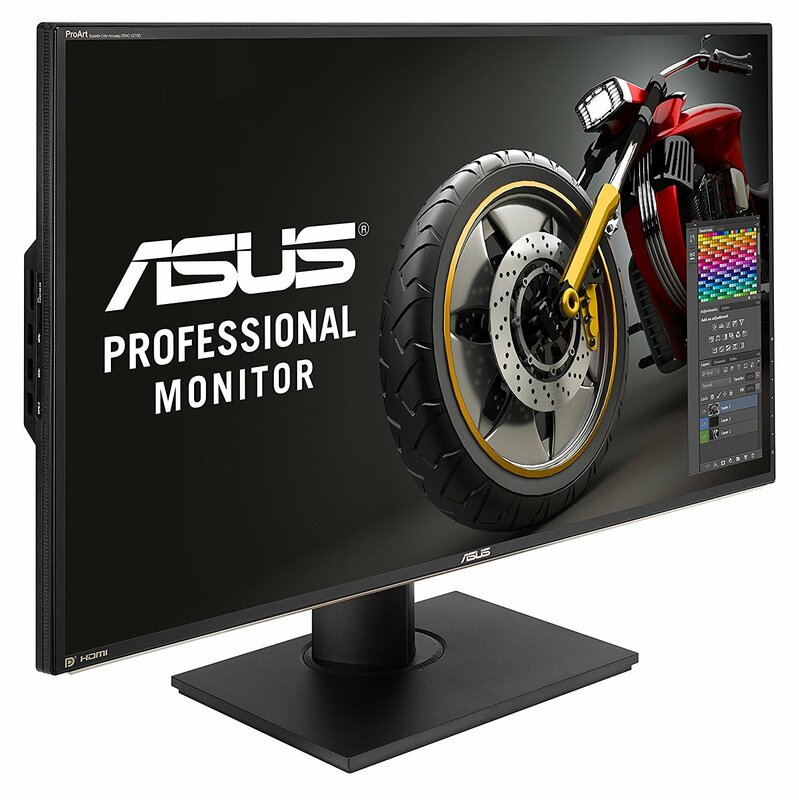 Using an IPS panel, along with AMD’s FreeSync anti-tearing technology, the Ultra-High Definition monitor has a wealth of features contained behind its 27-inch screen. One of these is a USB-C cable which can be utilized to deliver audio, 4K video, and data over a single cable. The image on the screen comes with a 16:9 aspect ratio along with a 60Hz refresh rate and 5-millisecond pixel response. While it can be marketed to the gaming crowd, the LG 27UD68-W can provide a quality monitor that should be able to help you with any project you bring up on its screen. Apple is a company that needs no introduction. Throughout their history, they have continuously been at the forefront of technological change and innovation and the same can easily be said for the monitor that comes with the iMac Pro. The most powerful desktop computer offered by the company, you need a powerful monitor to match and it does not disappoint. 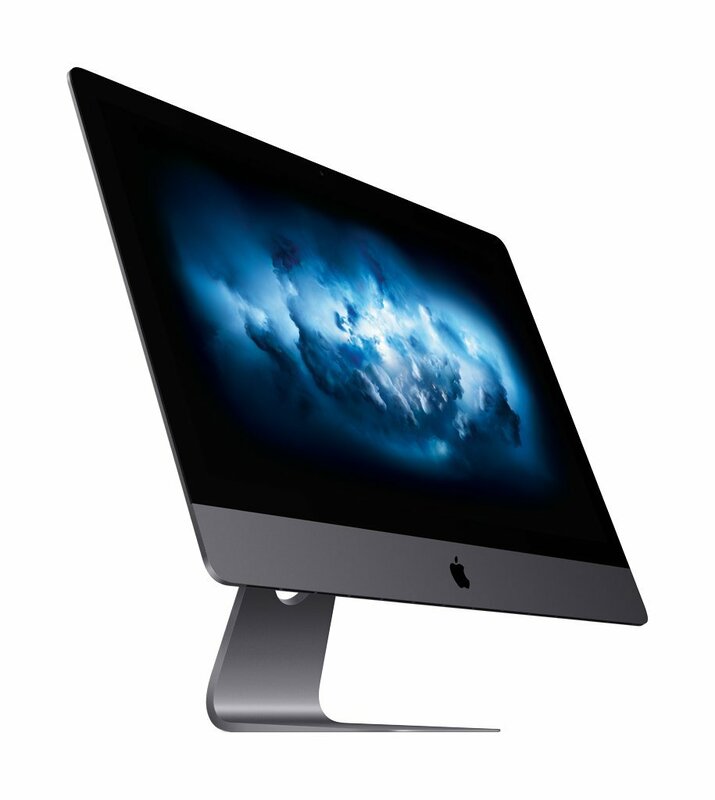 With a sleek, gorgeous 27-inch 5k retina display, the iMac Pro display uses Radeon Pro Vega graphics to help provide you with an almost life-like presentation of the project you’re working on. With all the muscle behind this machine, it may leave many curious how many ports they can use to connect to the gorgeous display. A total of four Thunderbolt 3 ports allow you to connect two displays at once, which can give you a maximum of 44 million pixels ready to display your work. While all that hardware is certainly impressive, so is the price. Starting at $4,699, this machine may not be suitable for everyone’s needs, but hey, we can dream right? Choosing the right monitor can make any project that much easier to handle with access to the brightest colors and the sharpest images. While the size and features may be different from monitor to monitor, if you are looking for a monitor for your graphic design business, make sure you know what’s important to you before you start shopping. 0 Response to "Top Best Monitors for Graphic Design 2019 | Chumbart™"